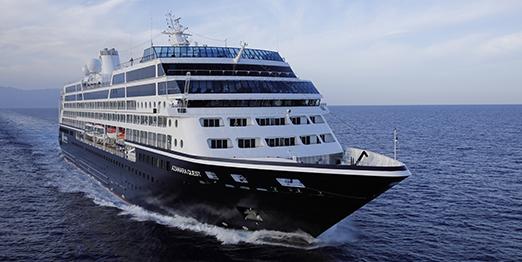 The great success of the “Mediterranean Montage” and “European Enchantment” charters for 2015 have paved the way for the creation of two extended charters aboard Azamara Club Cruises in 2016. These exclusive Cruiseco charters have been designed to ensure your time ashore is maximised with a focus on overnight stays and late departures from ports that are unique and rarely seen on cruise itineraries. Regular cruisers will be surprised and enchanted by the original approach taken by these classic journeys. 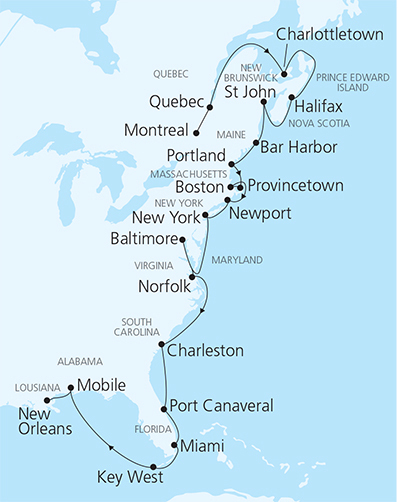 To book now please call The Cruise People Ltd in London on +44 (0)20 7723 2450 or e-mail cruisepeopleltd@aol.com. Today sees the christening in Southampton of Royal Caribbean’s new 168,666-ton Anthem of the Seas, while Viking Ocean Cruises’ 47,842-ton Viking Star (above during trials) leaves Venice on her way to her own christening in Bergen next month. 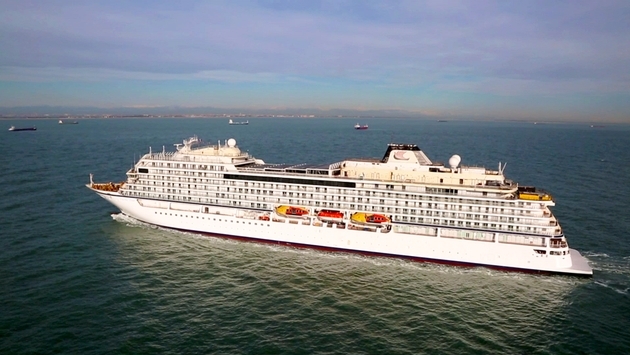 The 10,992-ton Le Lyrial will meanwhile make her own maiden voyage from Venice on May 9. 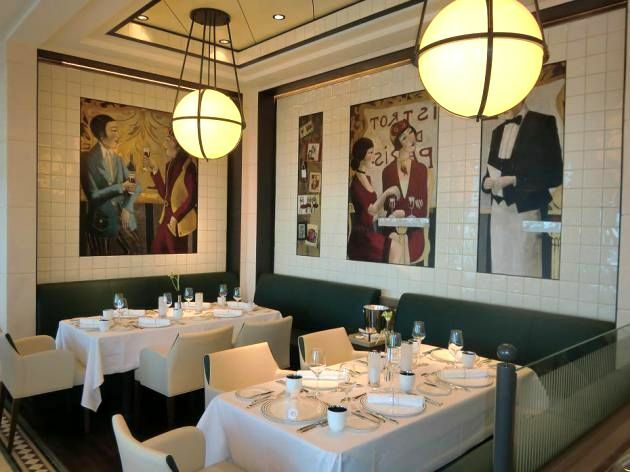 This week we compare the three ships, each part of a quartet, while we also assay the implementation of Royal Caribbean’s new Dynamic Dining concept. 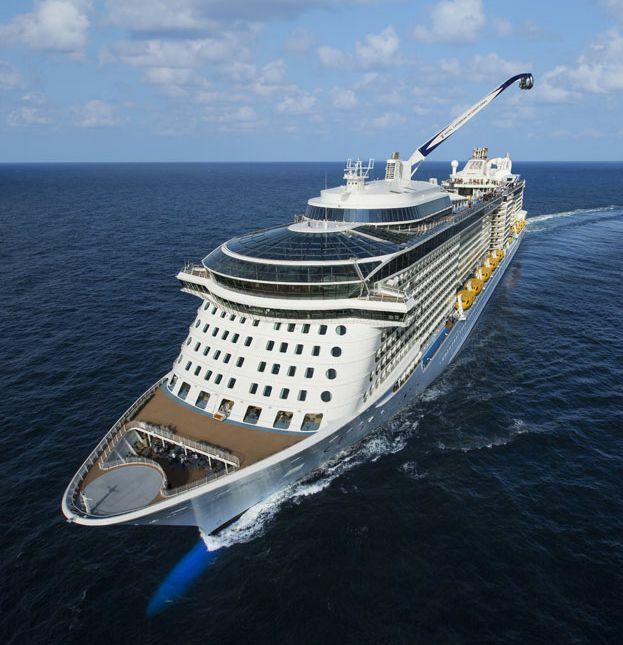 Last Friday saw the delivery of Royal Caribbean’s new 168,666-ton Anthem of the Seas (above), but rather than repeat what everyone else is saying about the new ship’s passenger features, today’s Cruise Examiner goes behind the scenes to look at her efficiencies. Meanwhile, as Australia rapidly outstrips Canada in terms of the number of cruise passengers each country produces, the St Lawrence ports of Montreal and Quebec will be seeking more embarkations with the help of $55 million from the Quebec government. June 2, 2015, 9 nights from £2,990 per person on the world’s most luxurious ship. From Portsmouth to Lisbon via St Peter Port (Guernsey), St Malo, Belle-Ile, Bordeaux and La Coruna, finishing in Lisbon with an overnight stay on board. Two of the themes on board Europa 2 are “Relaxed Luxury” and “Hideaway at Sea.” This is quite different from the rest of today’s cruise market, even the ultra-luxury operators. Europa 2 is aimed squarely at a different audience – an affluent and professional market, still in work, younger in age and with growing children. The new ship’s dress code is thus smart casual, not formal. 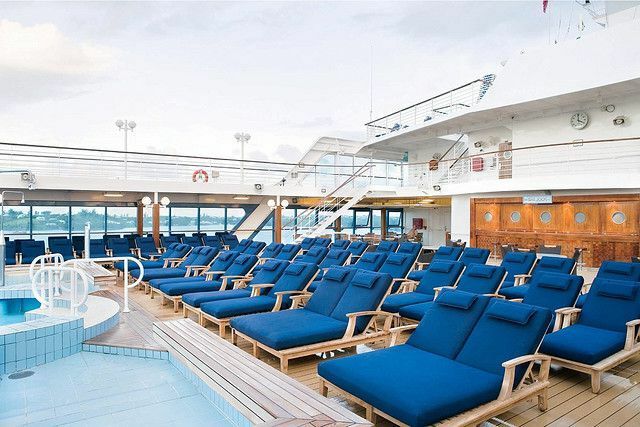 To reach this audience, the Europa 2 operates quite differently from other ships. Her summer cruises in the Mediterranean are 7-day itineraries that can be extended to 14 or 21 days, with no itinerary repeated before three cruises have elapsed. There are eight different restaurants to choose from and wines and spirits are sold at prices that are cheaper than onshore, unlike other cruise lines that charge full shoreside hotel prices. Beer is about €1.40, a cocktail around €4.20 and bottles of wine run from about €14. The usual practice on cruise ships has long ago moved away from charging real duty free prices. Hapag-Lloyd’s goal is not to maximise on board revenue but to offer value and a great experience. Also, in the alternative restaurants, it will not be possible to book more than forty-eight hours in advance, but on the other hand there is no etra charge in any of them. For further details on Hapag-Lloyd Cruises and booking the Europa 2 please contact Gay Scruton at The Cruise People Ltd in London on 020 7723 2450 or Freephone 0800 526 313 or e-mail cruisepeopleltd@aol.com. Conditions Apply: Cabin numbers will not be confirmed/advised until a few days prior to departure. If passengers want a confirmed cabin number they must book at brochure fare. 3rd & 4th passengers can be added at £190 per person, £90 per child under 12. (Please note four-berth cabins are limited – so please book quickly). For further details please call The Cruise People Ltd in London on 020 7723 2450, click here or e-mail cruisepeopleltd@aol.com. 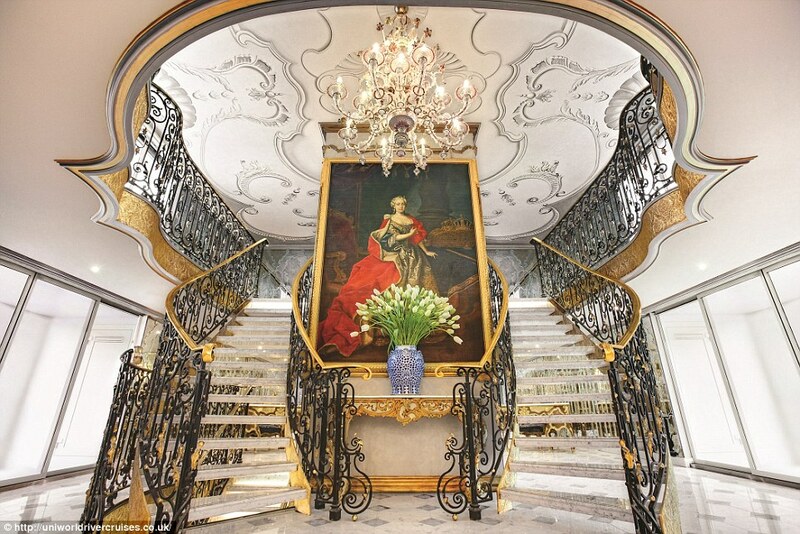 Last week saw the opulent new 443-foot 150-berth river cruiser S.S. Maria Theresa (see portrait of her namesake in the main stairwell above), sailing on her maiden voyage through the waterways and canals of the Benelux to Antwerp before entering service between Amsterdam and Budapest for the summer. We have a look at some aspects of this vessel and her owners, Uniworld Boutique River Cruises of Los Angeles. Meanwhile, in another part of the world, Quark Expeditions has announced that the 102-berth expedition icebreaker Kapitan Khlebnikov will be returning to revenue passenger service in 2016, with a 75-day complete circumnavigation of the Arctic Ocean that can also be booked as four separate itineraries.